The decentralization revolution, like a domino effect, began at the informational stage (see part 1), spread to the energy sector (see part 2), and is now triggering a new emerging trend: the decentralized transportation revolution. In recorded history, we have never been so creative in terms of human transportation means and this trend has no reason to stop now, on the contrary. Here, we’ll focus on the rise of specific airborne vehicles which are potential game-changers in the Pacific Ocean region (and also elsewhere) mostly because they can easily access off-road areas and also because they will end up being powered by decentralized renewable energy. Vertical take-off and landing (VTOL) crafts may be the future cars. Companies around the world like Lilium, Uber, ehang and even Airbus(leading european aeronautical company), are currently developing different prototypes with the ambition of taking the biggest piece of cake of this emerging market. The latests technological progresses in domains like smartphones, GPS, AI or batteries are all integrated in the design of these multi-rotors, drone-like vehicles. In the wake of automated car driving, VTOL crafts are also destined to integrate automated flight capabilities, not unlike military drones (the most renowned being the Predator, already capable of such feats). That makes sense : if you don’t have to fly it yourself, then you don’t have to go trough the long learning and training process it usually takes to fly an aircraft. That would mean most people could buy or rent it, eventually without even a piloting licence. That would mean, for the “winning” companies, maximum profit on this potentially huge market. For us, Pacificans, it would mean easier off-road & inter-islands transportation, at least on short distances and with compatible weather (in other words most of the time, especially for inhabitants of tropical islands). Currently, these aircrafts are being designed, built and tested. Most of them are electric. 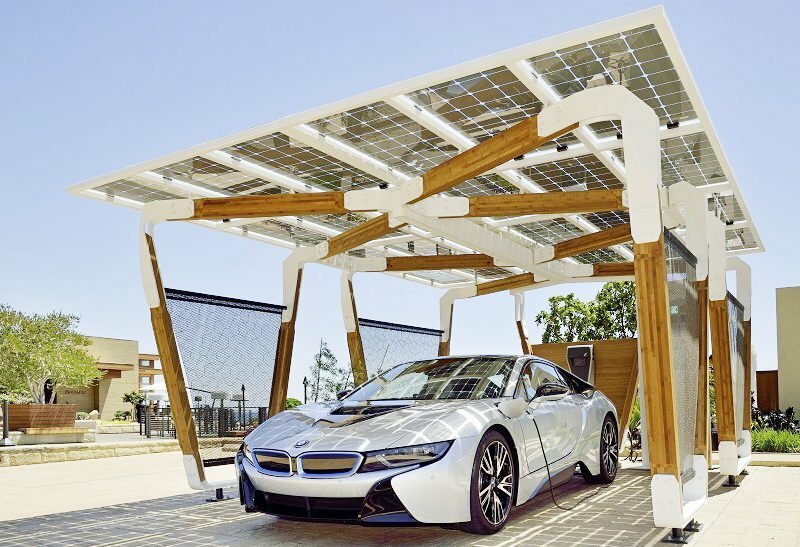 In the meantime, enormous progress is being made in photovoltaic technologies (see part 2) with China taking the lead and companies like Tesla developing “home” battery technologies adapted to harnessing sustainable energies at a pace never seen before. Imagine, for a minute, the combination of a VTOL with its own solar park (some car manufacturers already sell solar car park solutions, like the BMW i solar carport), in the garden of some random person living in some remote island, for example, in the Tuamotus in French Polynesia. The owner of such a craft would be able to get to any surrounding island in a medium range of 100 km in less than 2 hours, with the potential of landing exactly where he needs to go and at a ridiculously low cost. Moreover, with a VTOL, no need to switch to a road transportation mean when the other island’s shore is reached, a big advantage when compared to a boat. Indeed, inter-islands and inland/off-road travel might potentially become extremely easy in the next ten years or so, liberating people from the necessity of road or sea networks(which are, by nature, centralized systems) but also from ferry transit and traffic jams. This could enable humans to live in deserted areas and nevertheless stay “physically connected” with the rest of the world. This phenomenon, pushed at its limits, could also deeply transform current human-made landscapes. Think about it: overcrowded cities wouldn’t make sense anymore, neither would the term “living off-grid”. This would actually be another disruptive event, a geographical decentralization revolution. – Big hubs to join sea and road transportation vehicles. – Drastic reduced fuel consumption. On this last point, we’ll add that with the thriving photovoltaic technologies, we can easily imagine, in the future, the replacement of thermal engines with electrical ones, powered by the sun, (eventually directly, with a solar powered skin on the top of the Aeroscraft) reducing all the more energy costs. The Aeroscraft has a great disruption potential. It could be compared to medium cargo-ships in terms of speed and load, with the enormous advantage of being able to travel overland, skipping the onerous operations needed to transit cargo from sea to land and inversely. Its main challenge would be the wind. However, simple solutions to harness it or adapt already exist. For exemple, the wind direction is variable along with the altitude, meaning the Aeroscraft could lift up to the right altitude to take better advantage of it, cutting even more on energy costs. For the Pacific region, this new transportation and geographical decentralization would be a boom. At the first Pacific Business Days, a series of high level economic and political meetings held in Tahiti in March 2018, all the businessmen and political leaders of the region agreed on the one major factor holding the region back: transportation. It is too expensive and too centralized, leaving most of our small islands as dead-ends in the major trade routes. But these new technologies, from VTOL crafts to cargo blimps, could be a game changer. You wouldn’t need an airport to develop the economy of an island, just a nice empty field. 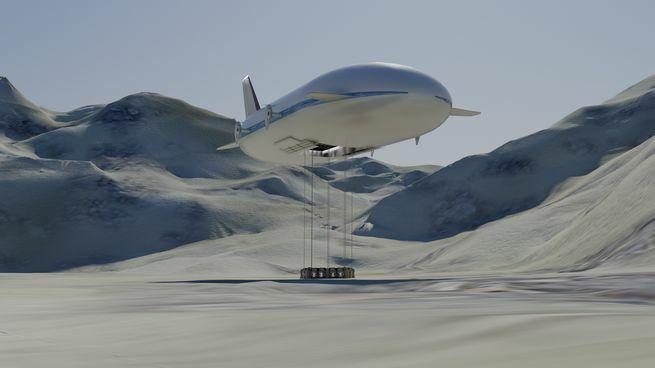 Tourists could easily access any population who wants to welcome them, the local harvest of fresh fishes, fruits and vegetables could reach bigger population centers quickly via the daily, privately-operated cargo blimp. You could live on the remote island where you were born, have a highly specialized job in an island a hundred kilometers away, and still be home every night for dinner. Children could commute to school and wouldn’t need boarding school. Everyone would be an hour away from a doctor… A hundred years of rural exodus in the Pacific could suddenly stop, replaced by massive economic growth all around our Ocean. Next Next post: Tahiti Women’s Forum is back!